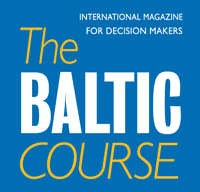 In 2017, more than 95% of children in the European Union (EU) were considered to be in good or very good general health. This percentage changes only slightly by age group, from 96.5% for those aged under five, to 95.9% for those aged five to nine and 95.2% for those aged ten to fifteen. The percentage of children whose general health was considered to be bad or very bad was under 1% for all age groups, reported Eurostat. Less than 5% of children in the EU in 2017 were considered to have limitations in activities due to health problems: 3.7% with moderate limitations and 1.2% with severe limitations. The proportion facing each category of limitations in activity increases with age. Among those aged under five, 2.2% had moderate and 0.6% had severe limitations in activities, while for those aged five to nine the proportions were 4.1% and 1.2% respectively and 4.4% and 1.6% for those aged ten to fifteen. 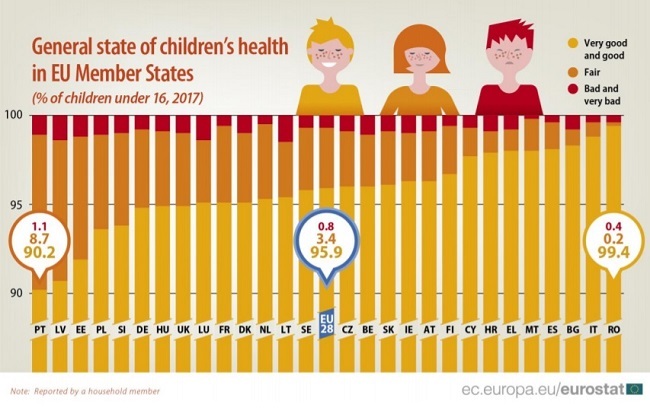 These data on children’s health in the EU (reported by a household member) are issued by Eurostat, the statistical office of the European Union. They are taken from the 2017 EU-Statistics on Income and Living Conditions (EU-SILC) ad-hoc module on health and children’s health.